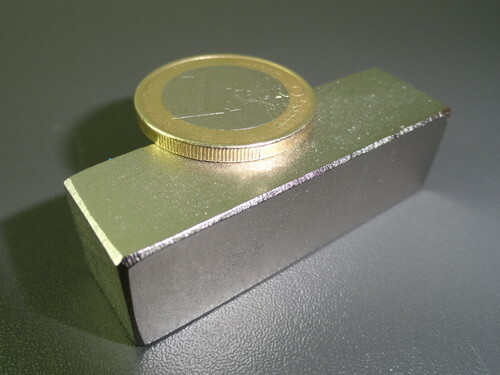 Our neodymium magnets are manufactured with strict quality control, complying with the highest international standards. We accept orders with standard sizes and according to customer specific measure. 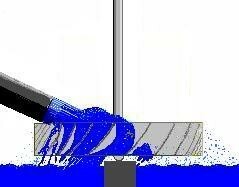 Ask us for a free budget indicating the measures, magnetization and desired coating. You will get a response with the lowest prices in the market. 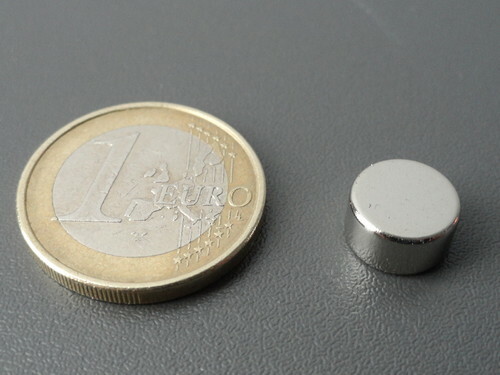 These neodymium magnets are characterized by their high strength and durability. There are several options when it comes to format and polarization in order to meet the customer needs. These magnets begin to lose their magnetic capabilities with temperatures over 80° C.
Cylinder with 25 mm diameter x 12 mm height with the poles in the circles, coated with Ni-Cu-Ni, N42 magnetization, approximate 22 kg strength. Cylinder with 10 mm diameter x 6 mm height with the poles in the circles, coated with Ni-Cu-Ni, N42 magnetization, approximate 2.7 kg strength. 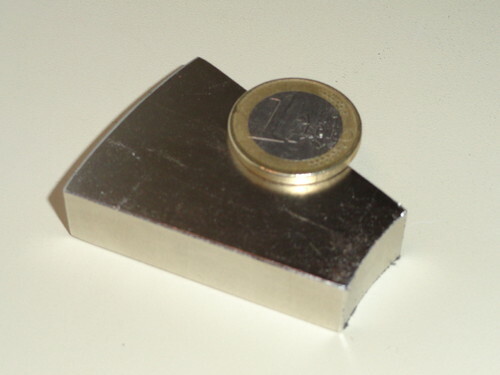 Block with 50x15x15 mm, N48 magnetization, coated with Ni-Cu-Ni, approximate 3.3 kg strength, with the North pole and the South pole on the major surfaces. Circular arc magnet whit a thickness of ½ inch, 8 inches (outer circle) x 4 inch (inner circle), Neodymium NdFeB, N42 magnetization. These magnets are particularly suitable for the construction of alternators. 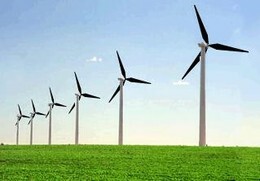 They give more power than the traditional N42 2 inch x 1 inch x ½ inch. 16 of these neodymium wedge or arc may form a ring of 8 inches (exterior) x 4 inch inside. Poles are on the larger flat surfaces. 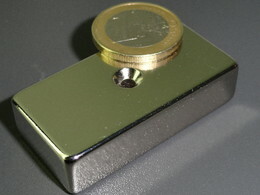 Block with 2"x1"x1/2" (50.8 x 25.4x 12.7mm), N42 magnetization, coated with Ni-Cu-Ni, approximate 33 kg strength, with a hole in the center for easy mounting. N pole in one of the major surface, and the S pole on the opposite.